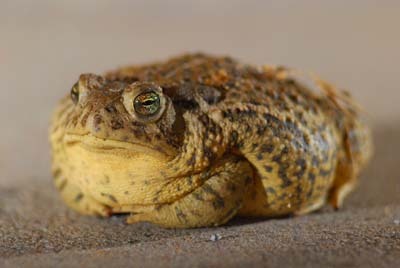 Bufo woodhousii, Woodhouse’s Toad, a backyard resident. Fat and warty. A nocturnal creature that opens its eyes at sunset, just before hopping off on an insect hunt. Will venture across the living room if doors are left ajar. It has yet to speak to us, but that’s OK. I like our quiet little comrade.